You support her in everything she does. 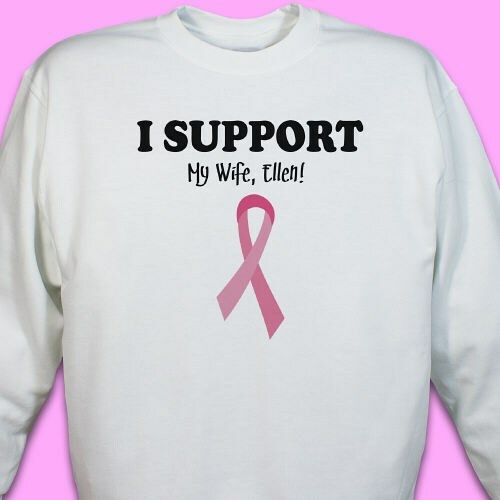 Let her know with our unique I Support Personalized Breast Cancer Shirt. This Breast Cancer Awareness shirt is perfect for walks and awareness events for anyone to enjoy. Breast Cancer Awareness month is October. Create wonderful Personalized Breast Cancer Gifts for anyone fighting with the disease. MyWalkGear.com has a wide selection of Personalized Breast Cancer Walk Shirt, Engraved Breast Cancer Keepsakes and so much more!